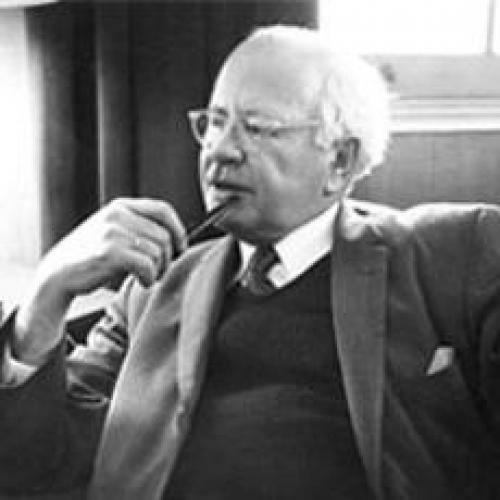 WILLIAM L. SHIRER, born in 1904, was one of the twentieth century’s great reporters. He witnessed many of the key events of the 1930s in Europe at first hand and wrote and broadcast about them in a graphic and accessible style, making their complexities comprehensible to his readers and listeners back in the United States. He saw the Nuremberg rally of the Nazi Party in 1934, Hitler’s announcement of the German march into the Rhineland in 1936, the German takeover of Austria in 1938, and the invasion of Poland in September, 1939. He was with the German armies as they conquered France in 1940. In between, he reported on Nazi rule in Germany, and was one of the first foreigners to discover the Nazis’ mass murder of more than a hundred thousand mentally ill and handicapped Germans in the gas chambers set up in mental hospitals by teams whose expertise was later used in the extermination camps to kill far larger numbers of Jews. Shirer was shocked and disgusted by the Nazis—by their aggression, their hysteria, and above all their anti-Semitism. He did what he could behind the scenes to help Jews, at one point renting an apartment in Berlin whose Jewish owners had fled the country, and wiring the rent to them despite the illegality of such actions. Shirer did not disguise his hatred of the regime. As a neutral American, he could stay on in Germany after the outbreak of war in Europe, but the Gestapo became increasingly suspicious of his endless ferreting around for real news—and of his steadfast refusal to become a tool of Nazi propaganda by just seeing what the government and its agencies wanted him to see. Thus in September 1940 he left. Shirer’s reporting was not always congenial to his bosses in America, and in this book Steve Wick makes excellent use of Shirer’s letters and papers to chronicle his often fraught relationships with them. Shirer was fired successively by the Chicago Tribune and the Hearst Universal News service before finding a longer-term job at CBS news; after the war, he was forced out of CBS too, a liberal victim of McCarthyism. Deprived of his living as a reporter, he turned to writing books, succeeding triumphantly with The Rise and Fall of the Third Reich, his best-selling history of Nazi Germany, which sold a million copies in hardback and is still the most widely read book on the subject. Yet his effort was heavily criticized at the time by experts on Nazi Germany, and rightly so. Its main strength—Shirer’s closeness to the events that he was describing—was also its main weakness. It focused too heavily on political and military history and paid too little attention to other aspects of the history of the Third Reich. The Rise and Fall of the Third Reich was not abreast of academic research even when it was published in the 1960s, and it is hopelessly out of date now. For all his critical acumen, Shirer seems in the end to have been taken in by Nazi propaganda that portrayed the regime as the fulfillment of long-held German dreams. He mixed with Nazi bigwigs to get information, but he did not make any effort to contact representatives—inside or outside Germany—of the millions of people, notably in the working-class districts of Germany’s great cities and the industrial areas of the Ruhr, who disliked most of what Hitler was doing and had vehemently opposed the Nazis before they came to power. Of course, it would have been very dangerous to have done this, but others (notably the British consul in Hamburg) did so; and because of his skewed sources of information, Shirer rushed to sweeping conclusions about ‘the German character’ that were embarrassing to read even in the 1960s, let alone today. These clichés are present even in the Berlin Diary, which Shirer published at the end of the war. But it is a far better book than The Rise and Fall of the Third Reich, owing to its greater immediacy. A genuine diary, it reported at the time much of what Shirer was unable to reveal publicly about life in Nazi Germany. The story of how he smuggled it out of Germany—in the bottom of a valise, underneath officially stamped documents, after convincing the Gestapo to give the valise a seal of approval so it would not be opened by customs officials—is one of the best and most exciting that Wick tells. A seasoned journalist, Wick knows how to tell a good story, and for long stretches his book reads like a novel. This is not, as he admits, an academic work of history, but still a good deal of careful research has gone into it, and the book has much of interest to say about the life of a foreign correspondent in the war-torn Europe of the 1930s and early 1940s. But even journalists have to get their facts right, and it is a pity that Wick has not taken more trouble to read up on the historical background of the times he is writing about. His book is full of errors. Wick thinks that the hyperinflation that hit Germany in 1923 continued afterwards and led to a huge increase in the membership of the Nazi Party (it did not, and the Nazi Party virtually collapsed between 1923 and 1927); he misdates the April 7, 1933 law banning Jews from the civil service to a year later; he thinks the concentration camps were ‘teeming’ with opponents of the Nazis in the mid-1930s, whereas they held fewer than four thousand of them (at that time it was the state prisons that were used for repression); he does not seem to know that Martha Dodd, daughter of the American ambassador in Berlin, was a Soviet agent whose many affairs, including—apparently—one with the head of the Gestapo, Rudolf Diels (misidentified in the book), may well have served a political purpose; nor is he aware of the fact that only Jewish men were arrested in the Kristalnacht pogrom of 1938. He also repeats the myth that Polish cavalry charged German tanks during the invasion of 1939. All this is a pity, because as an account of Shirer’s life and work in Germany this is an excellent book. Yet it cannot be used as a guide to the times Shirer lived through. Wick has missed the opportunity to assess the accuracy of Shirer’s reporting. He is too uncritical of Shirer’s cliché-ridden opinions on the Germans. And while one can understand why he confined himself to writing just about Shirer as a foreign correspondent, his very cursory treatment of the McCarthy years and Shirer’s life as an author leaves the reader unsatisfied. The reader may end up crying out for the full biography that this great American journalist deserves.